When the production lines slow down, you’ve got a problem. A note from J.P. Morgan last month argued that if production on Boeing’s 737 Max 8 model was halted, it could hurt U.S. GDP as much as 0.15%. And after close on Friday, Boeing stated that the aerospace giant will pause deliveries and cut production of the popular aircraft model by about 20%. The news put the stock under pressure on Monday, with BA settling down at 4.42% at the close on Monday. Boeing accounts for 10.9% of the Dow Jones Industrial Average. 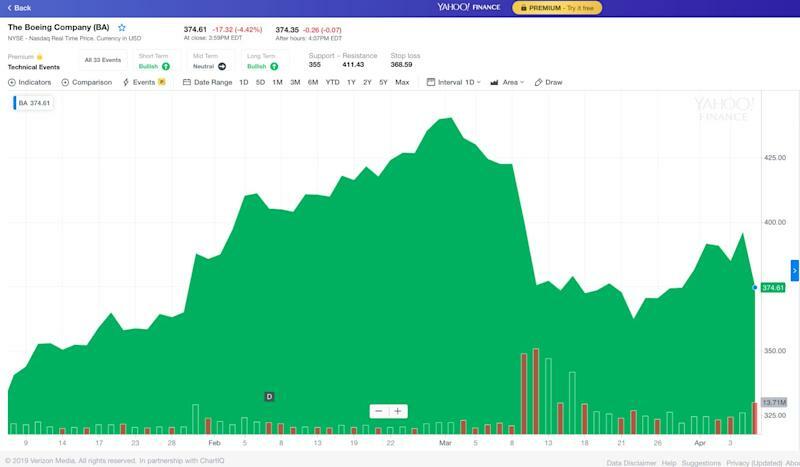 Boeing was down 4.42% at the end of Monday's trading session (Chart: Yahoo Finance). That could have implications for the economy, J.P. Morgan analysts previously warned. 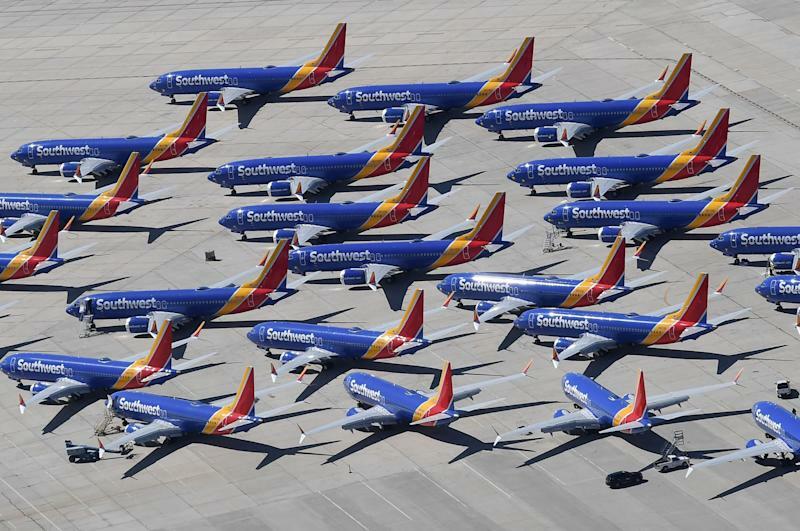 The aviation giant is currently facing multiple probes from government regulators after its 737 Max 8 was involved in two fatal crashes since October. The planes are grounded across the world, but production continues for now. 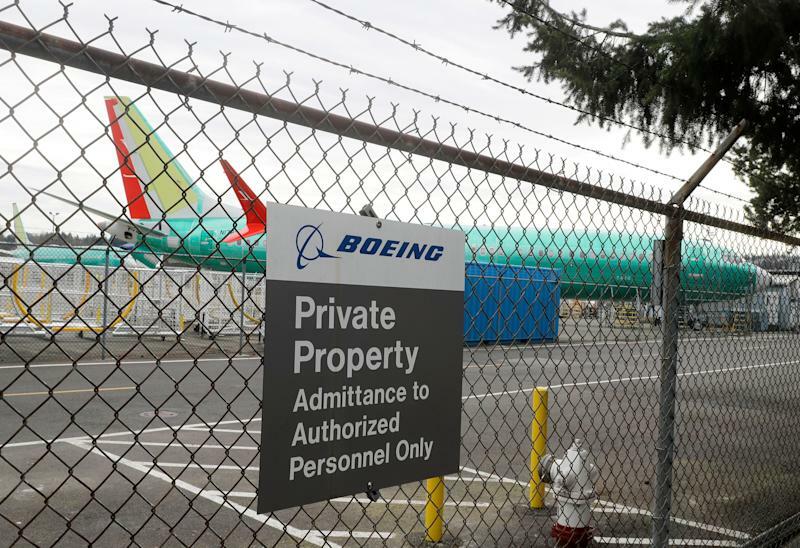 The issue arises if Boeing is forced to stop the assembly lines, which would mean no sales and no inventory being built up. To estimate the 0.15% hit on GDP, the analysts tallied the total value of planes that Boeing and other domestic aerospace manufacturers shipped and found the number to be about $130 billion in 2018. 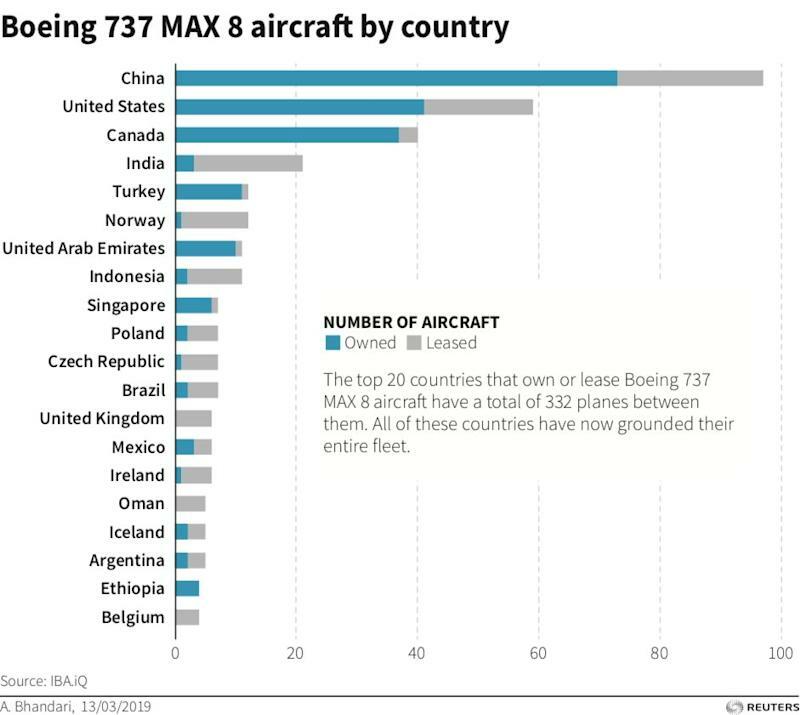 That $35 billion of sales “includes parts suppliers, not just the value added by Boeing,” they added, which gave them a “reasonably accurate approximation of the GDP impact of the 737 MAX for this year” to be 0.15%.